Climate deal 'ambitious and balanced' Jump to media player France's Laurent Fabius says the final climate deal - if approved - would be fair, legally binding and set out a goal to limit rises to "well below" 2C. 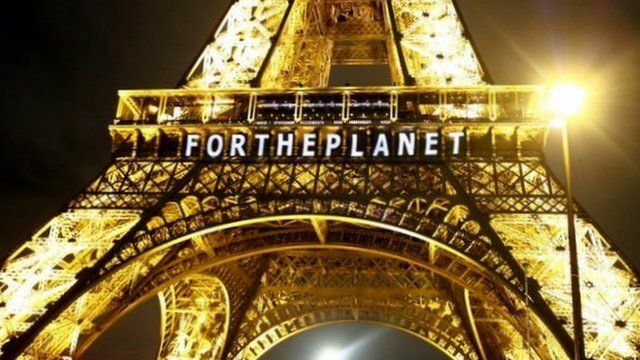 What are the COP21 sticking points? Jump to media player Three important issues remain the toughest for UN negotiators working on a global climate agreement. Organisers of climate talks in Paris have released details of a proposed landmark deal to curb climate change. France's Foreign Minister Laurent Fabius said the final draft of the deal was fair, "legally binding" and set out a goal to limit rises to "well below" 2C.